There is a lot to love about this traditional 1930's weatherboard home nestled on 827m2 of prime Remuera land. 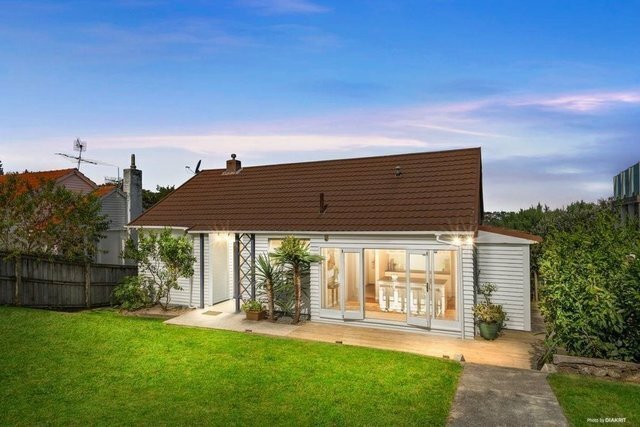 Options abound; this terrific property will appeal to families seeking this popular and central suburb along with those wanting to explore the development potential-zoned Residential Mixed House Suburban. Fully fenced with a single car garage at road level ensures privacy and security, perfect if you have children and pets running around. A path leads down to the home which is set back from the road, so quiet and peaceful. French doors from the kitchen open onto the west facing front deck and garden. The living is a terrific size, the lounge overlooks the expansive rear lawn and it has sweeping tranquil valley views. Dining is just off the lounge which in turn is close to the kitchen. All three bedrooms are double and you have the bonus of a study or nursery. Some will contemplate modernising and possibly extending the home. Whatever you consider all options are exciting and in this terrific sought after suburb close to Meadowbank Primary, Benson Rd shops, buses along with easy access into the CBD, you simply cannot go wrong!